Black coffee usually become my companion in the morning. Start day with a cup of black coffee makes me feel optimist that I can through a day with good results. 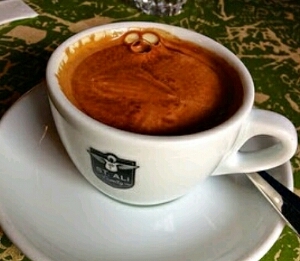 Many kind of coffee is available in store, but I rather to choose a black Arabica coffee for me to drink in the morning. People's know that's a black coffee is the king of all coffee. Why? Because from the history I read, in a long time a go people's knows coffee just black. That's why I call black coffee is king of coffee. Now basic ingredient to make all kind of coffee is black coffee. Is undeniable factor that every coffee shops, must have it to served a variety coffee drink. Is favorite from long time a go until now, is the basic ingredient for all kind of coffee, available in many store and coffee shops, and the king is still black coffee. That what I think, how about you? 0 Komentar untuk "Black Coffee, The King of Coffee"